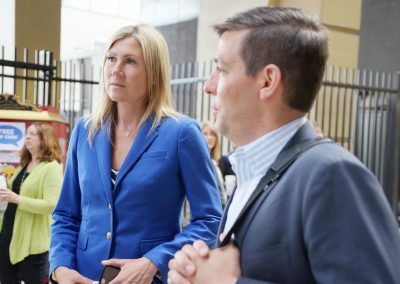 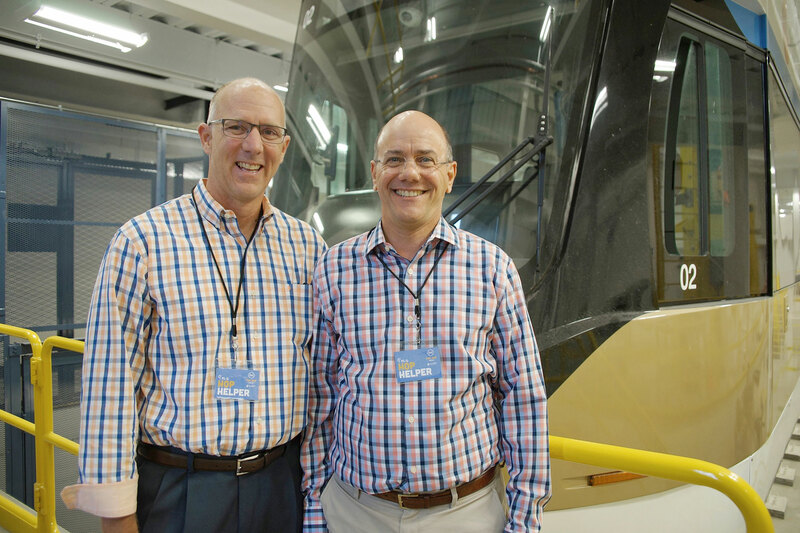 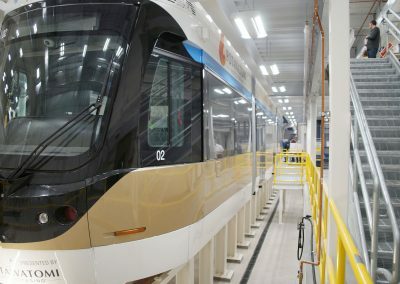 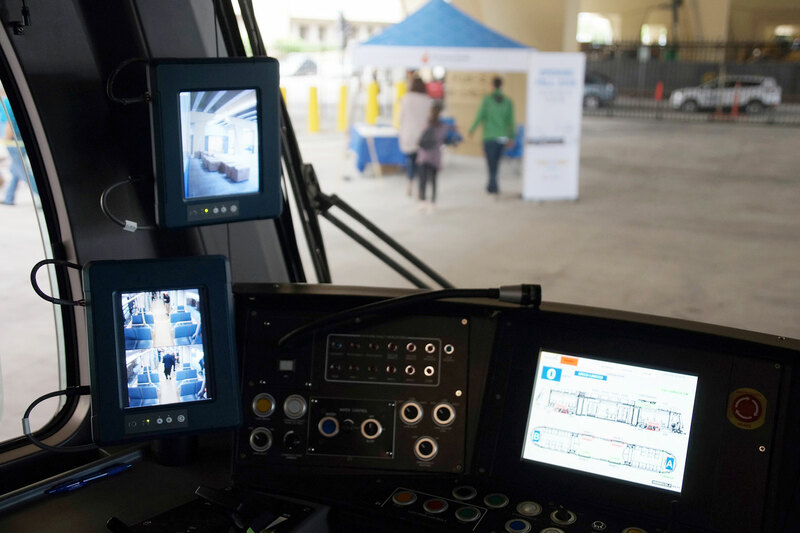 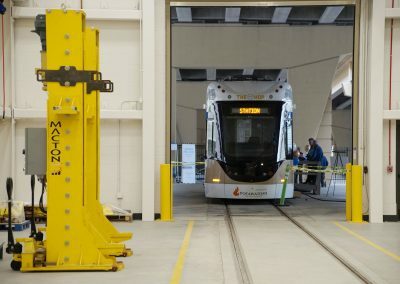 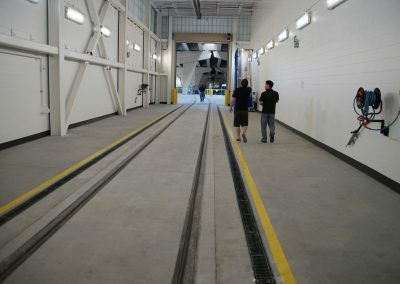 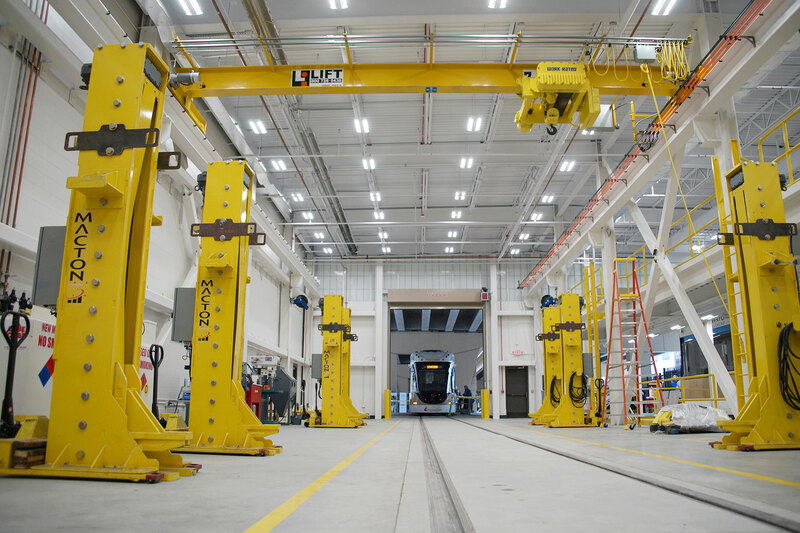 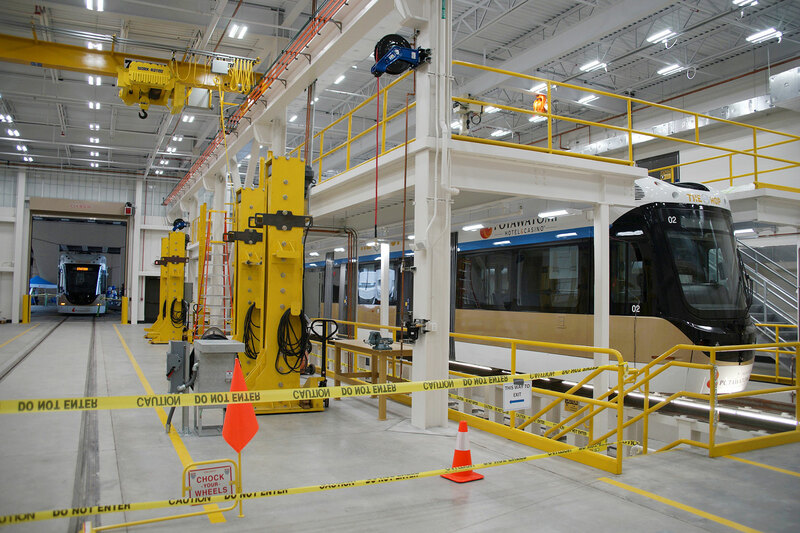 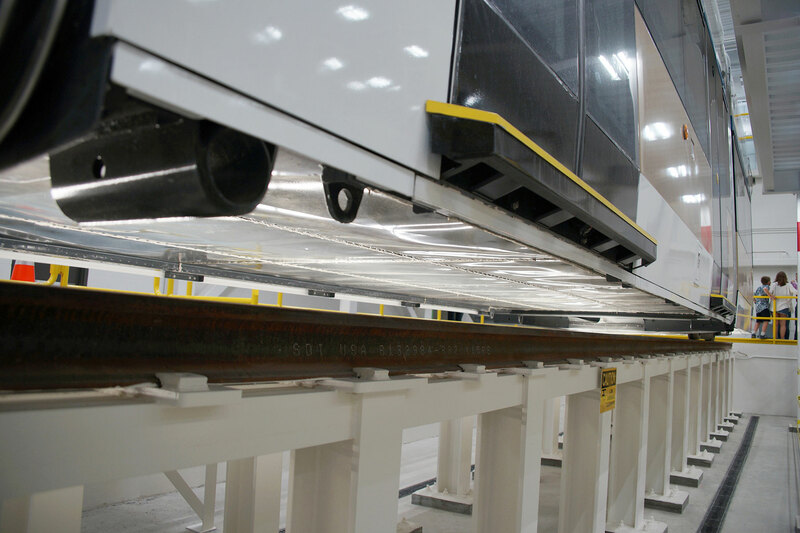 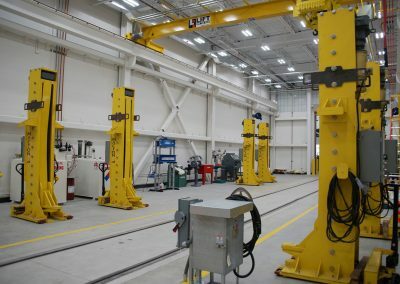 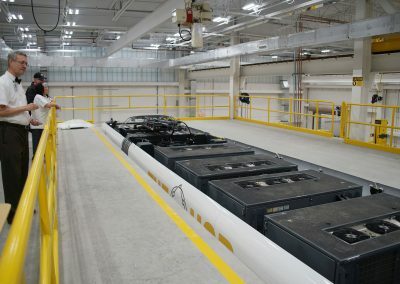 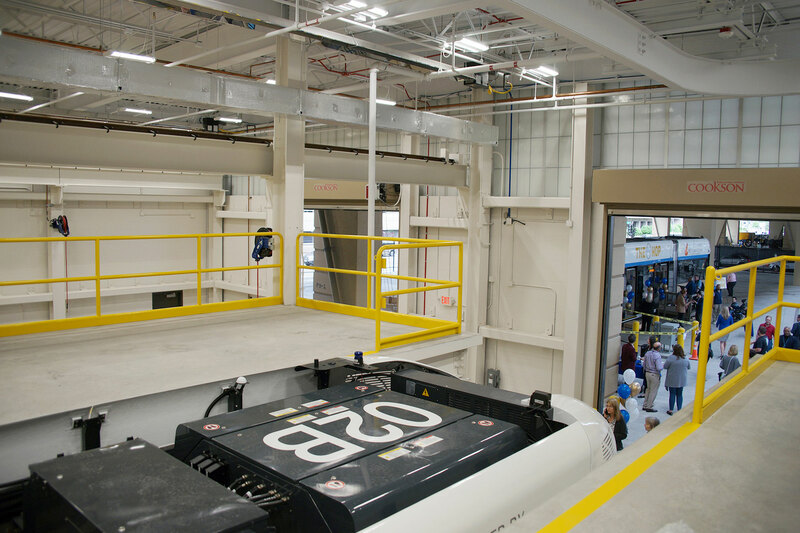 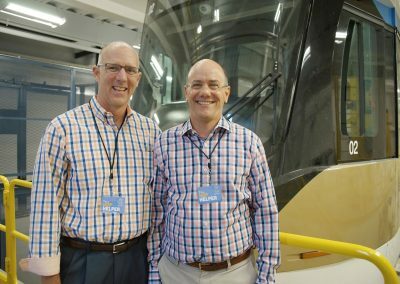 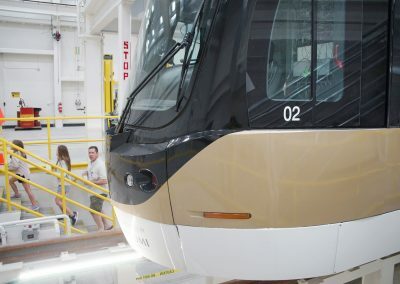 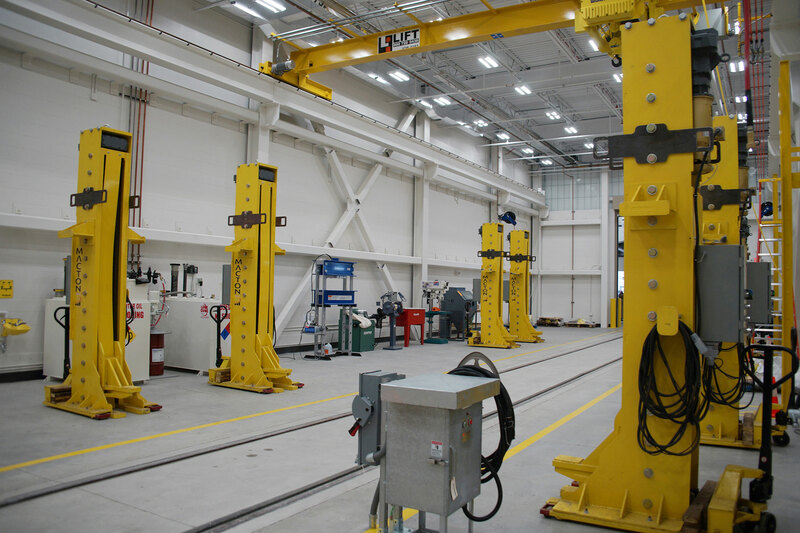 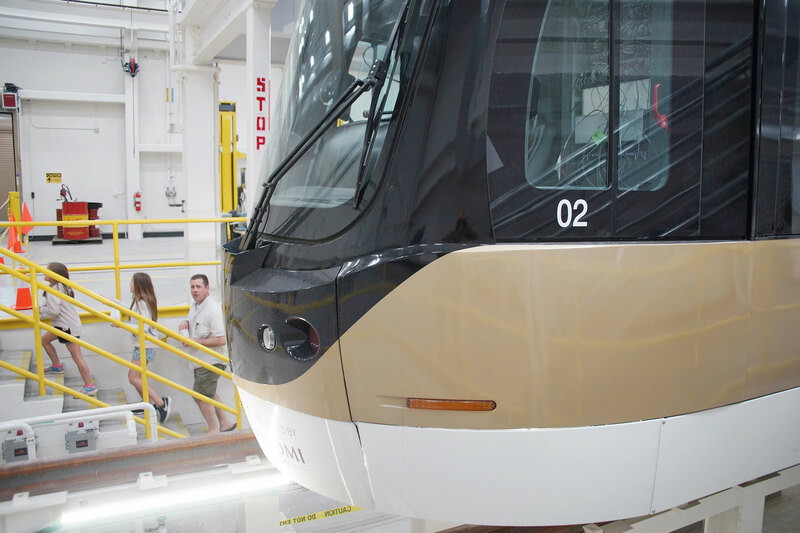 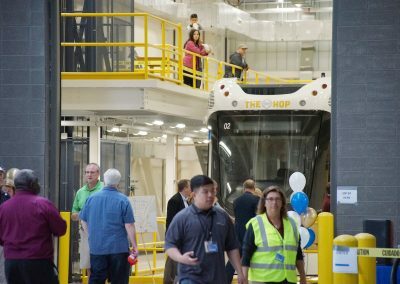 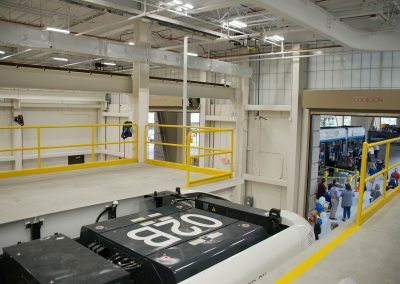 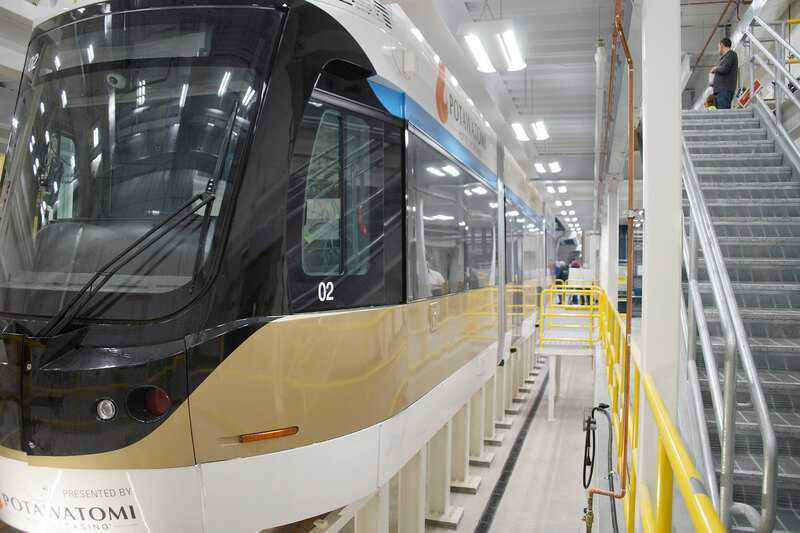 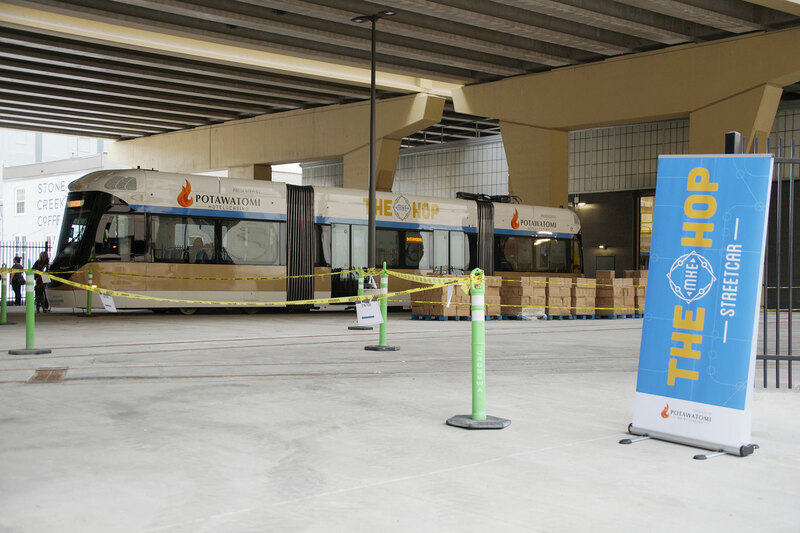 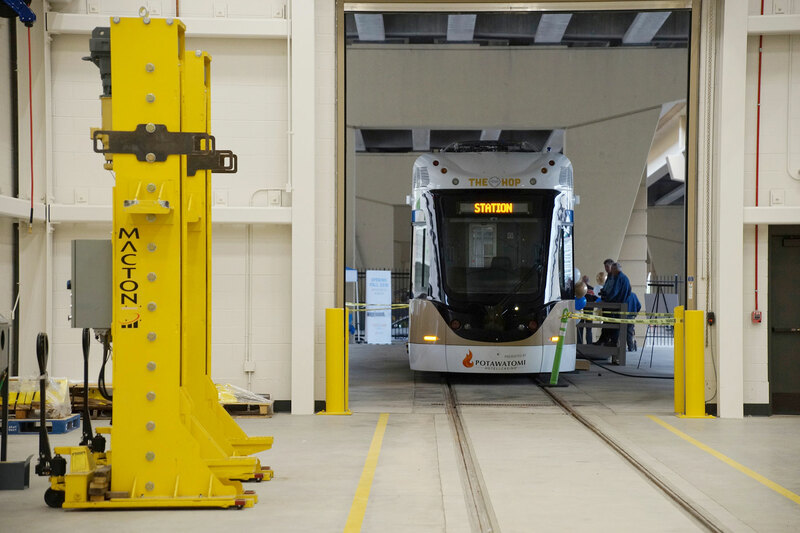 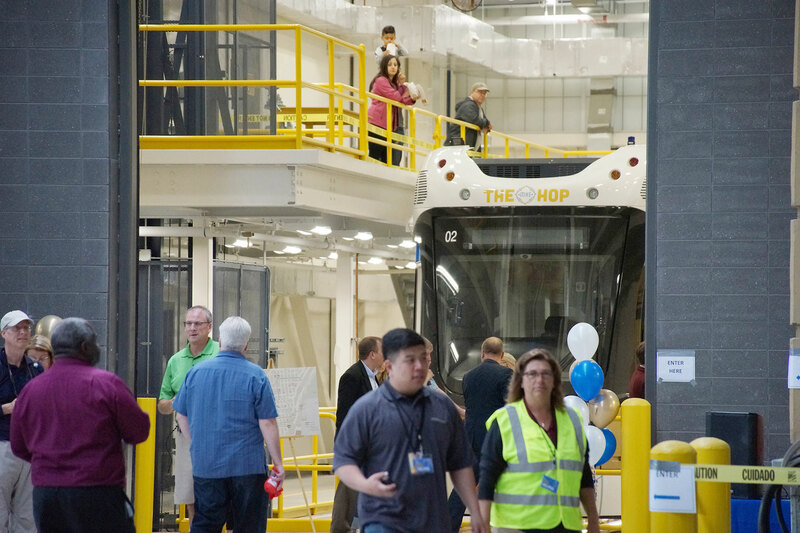 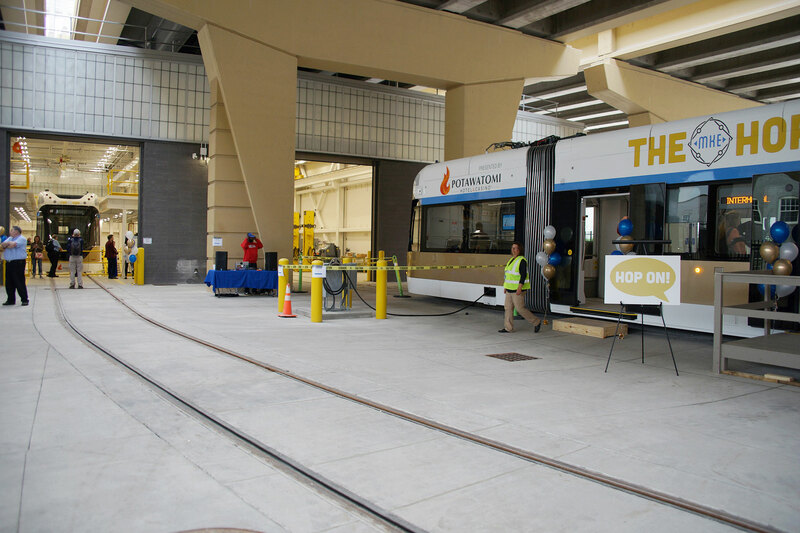 The June 8 event featured behind-the-scenes access to the new streetcar maintenance facility, with two of the five fleet vehicles on display for access. 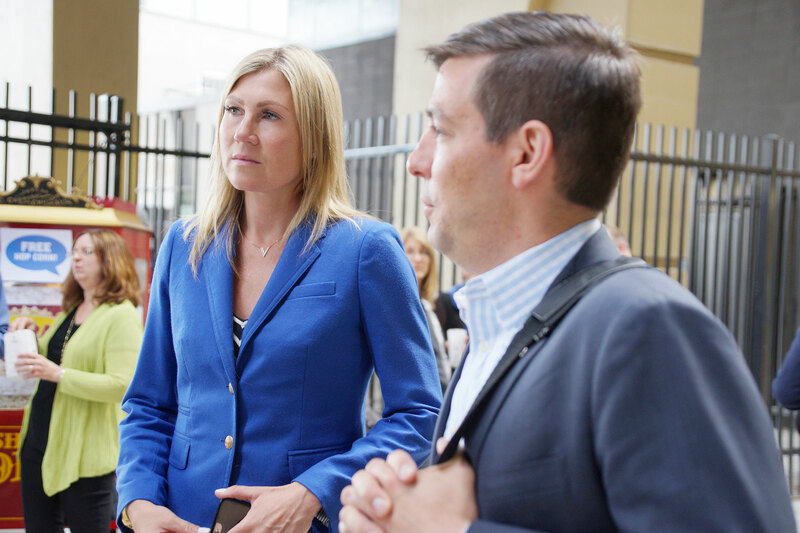 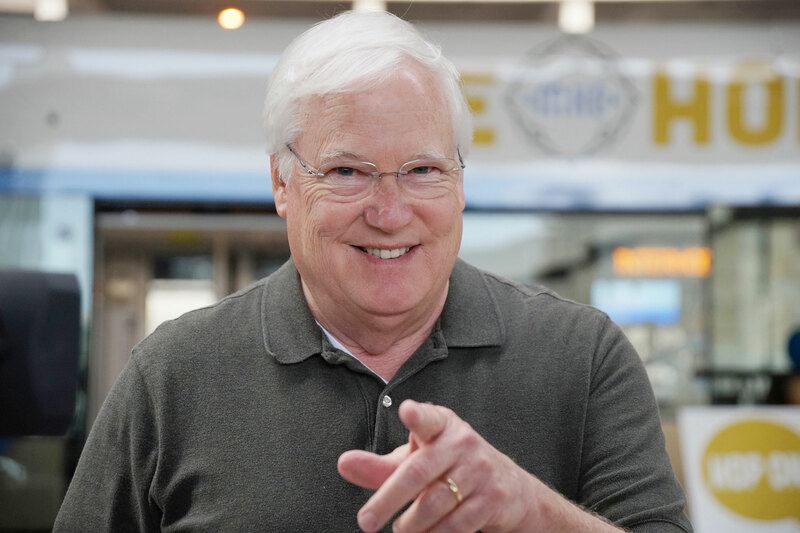 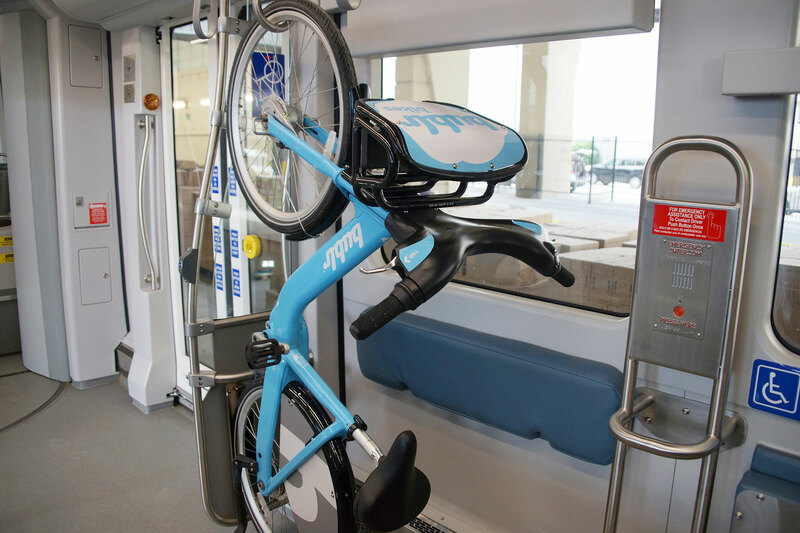 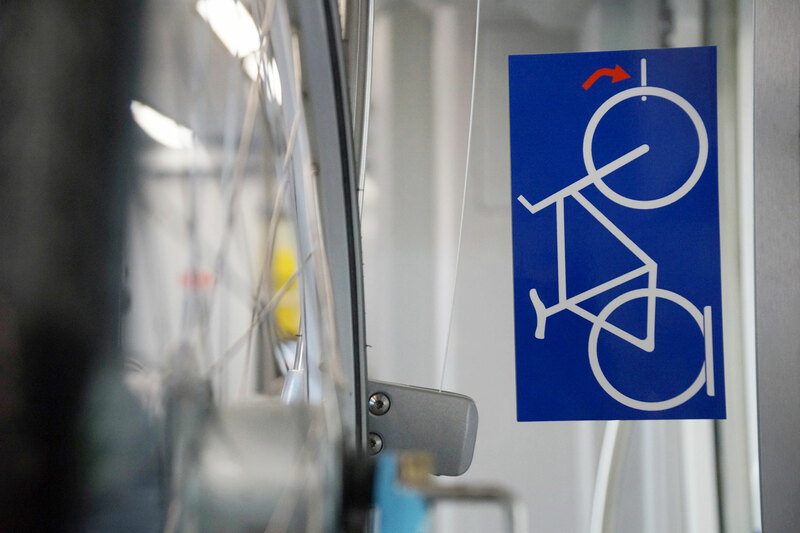 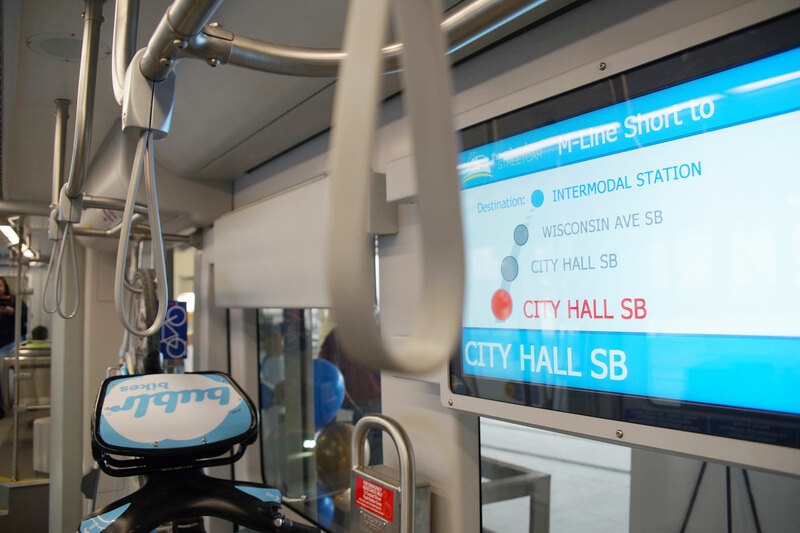 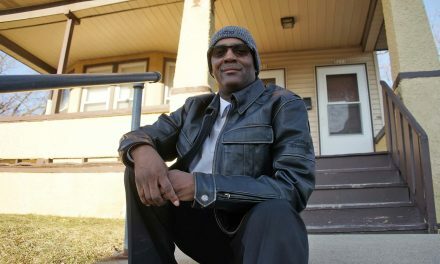 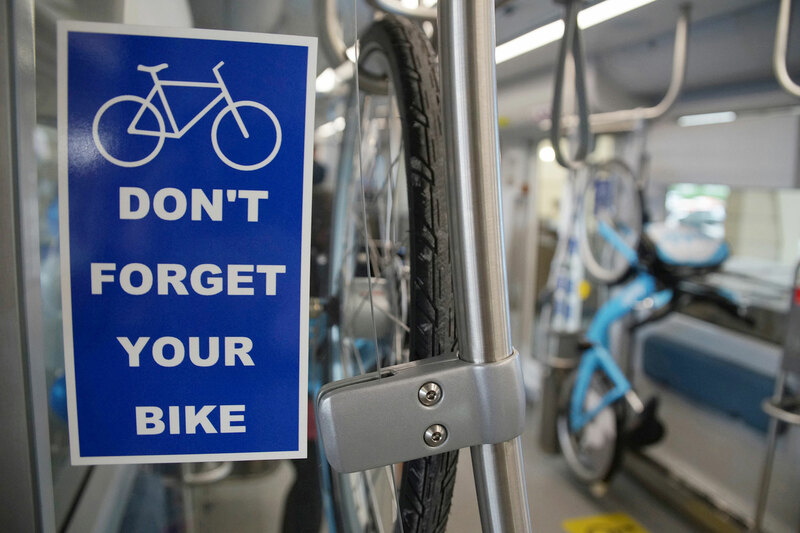 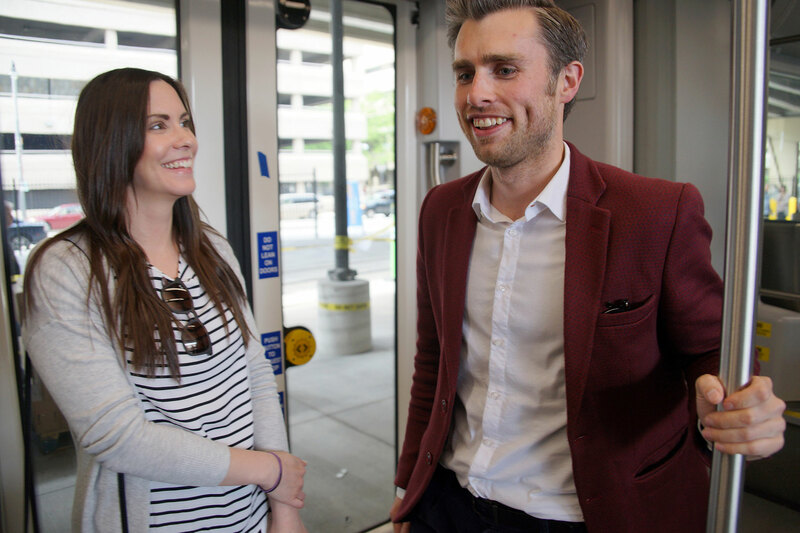 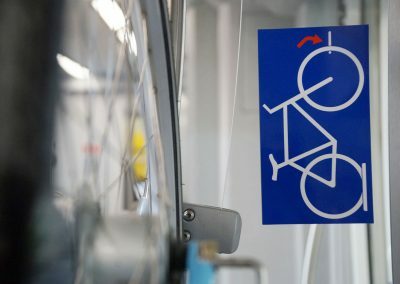 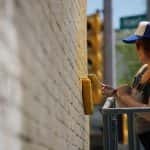 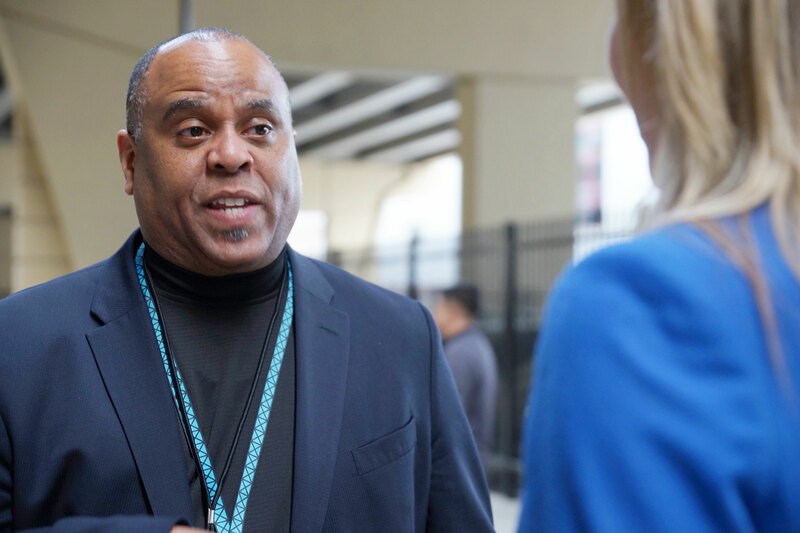 The Milwaukee community was invited to get its first glimpse at the future of transit in city. 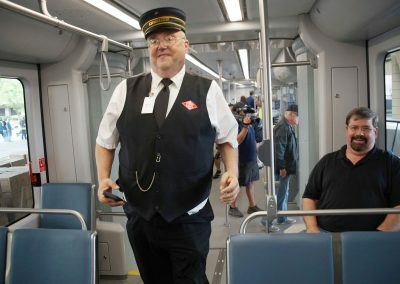 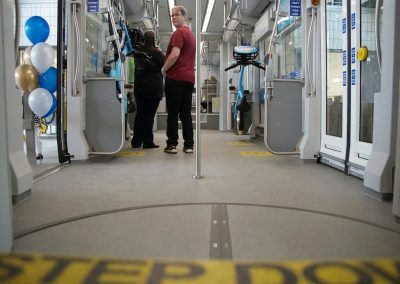 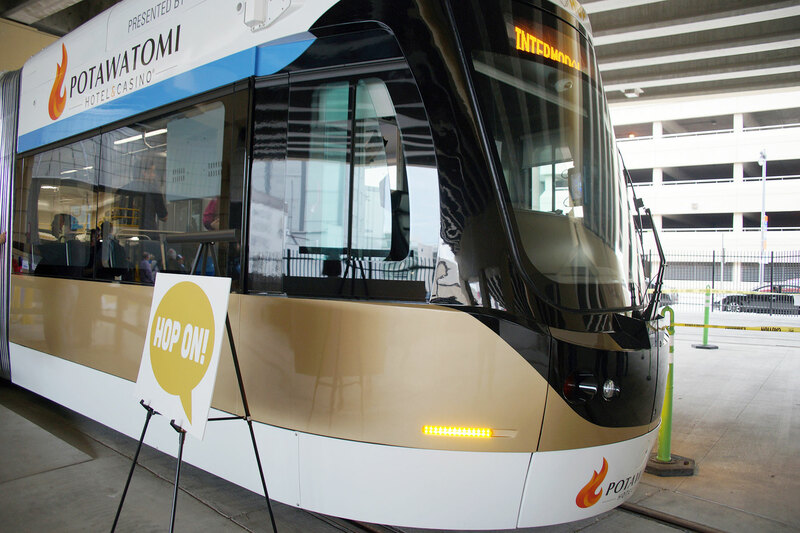 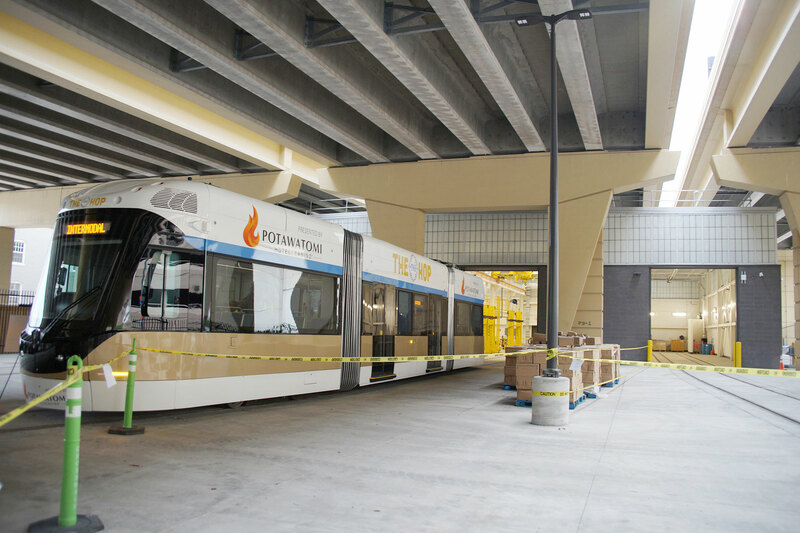 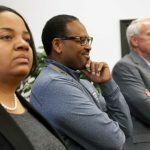 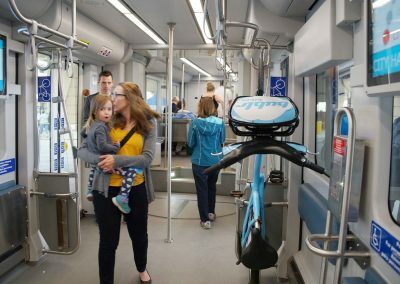 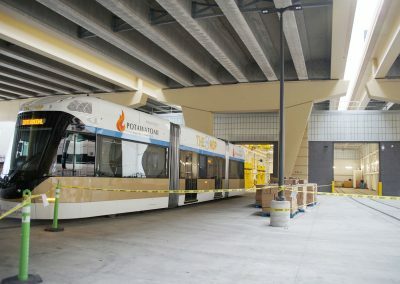 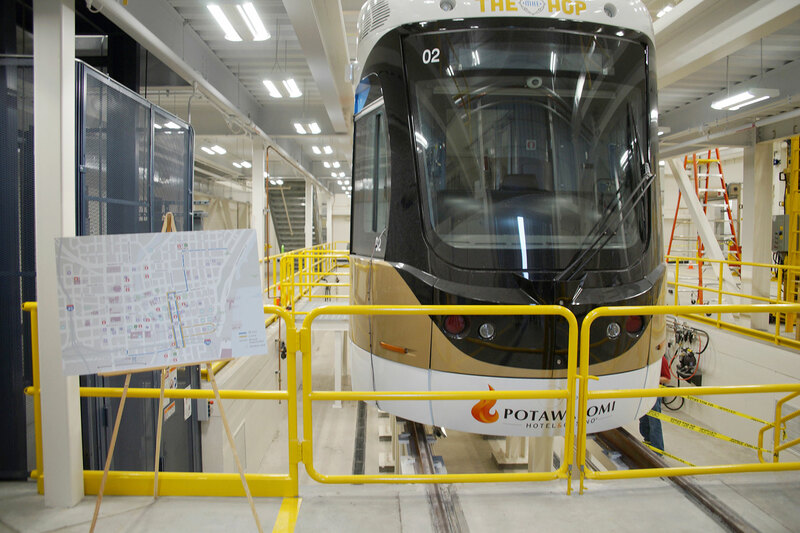 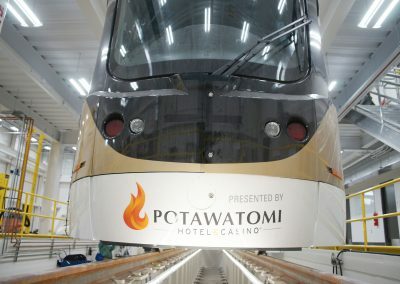 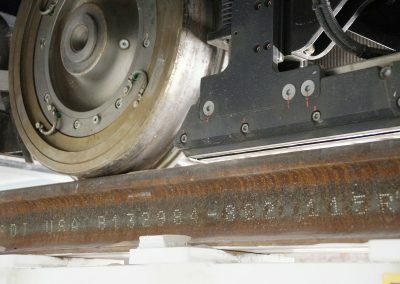 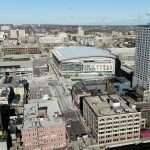 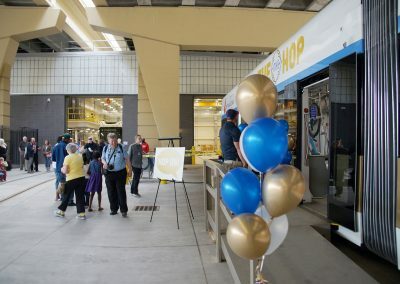 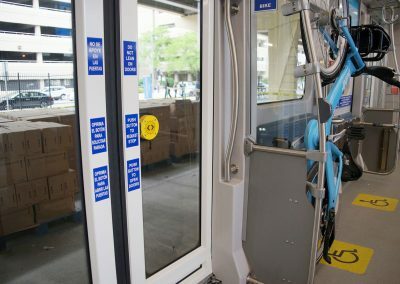 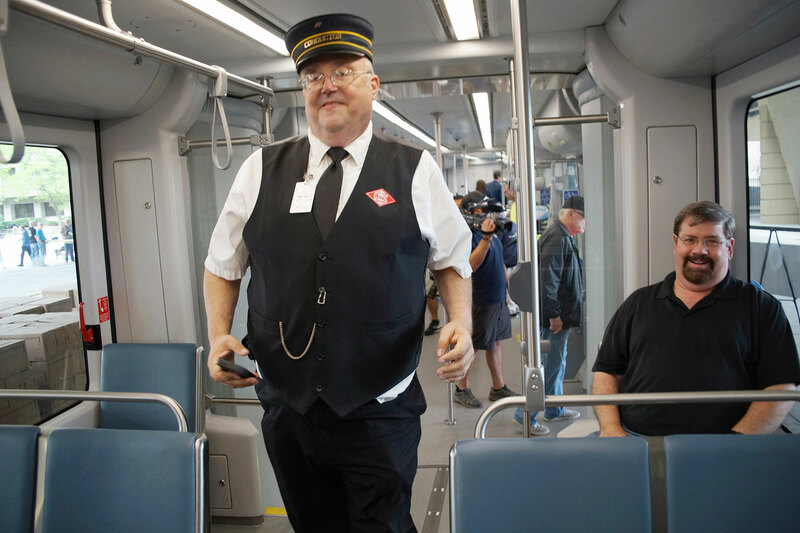 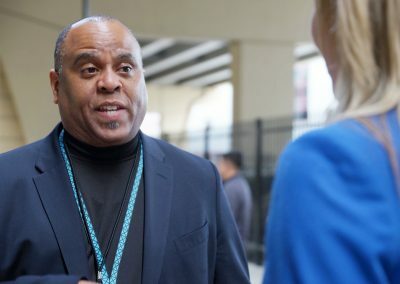 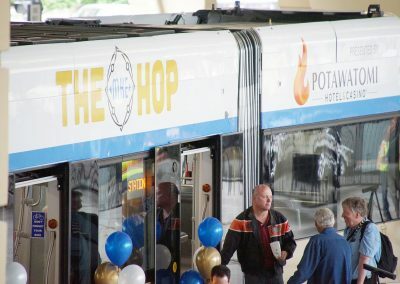 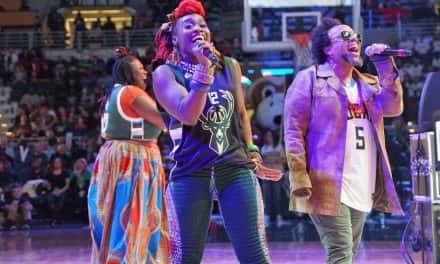 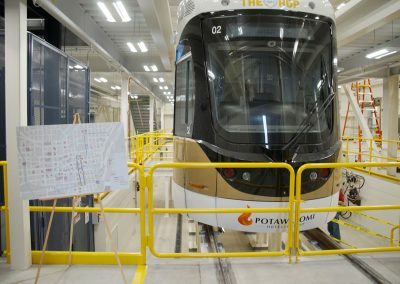 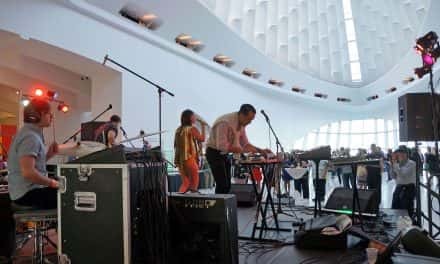 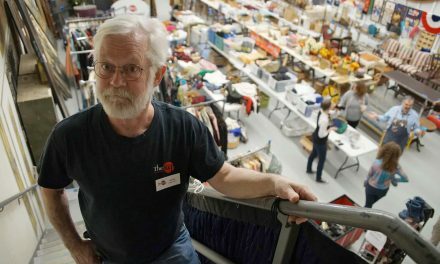 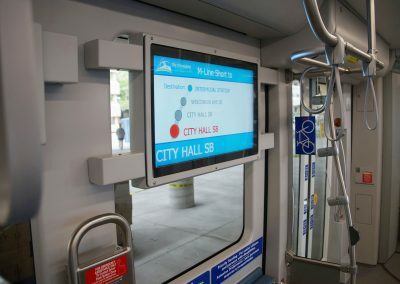 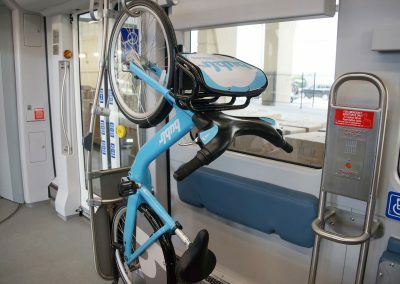 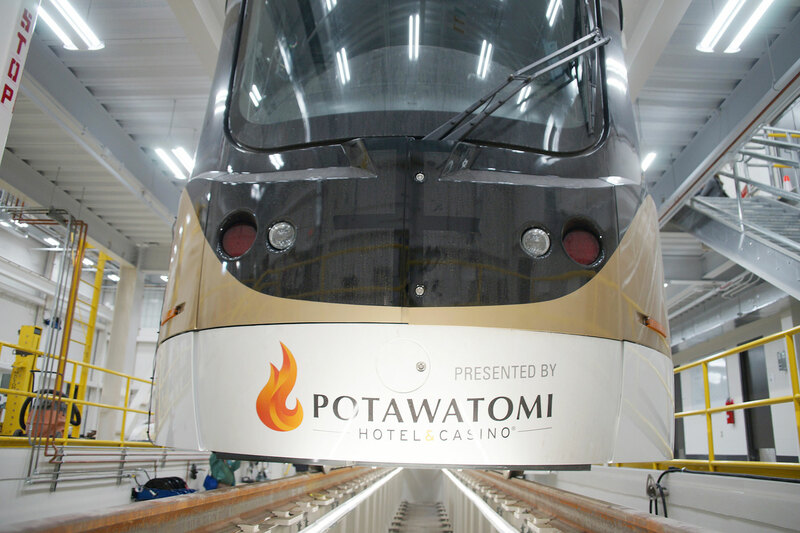 The free open house for The Hop, presented by Potawatomi Hotel & Casino, gave curious visitors a unique opportunity to go inside Milwaukee’s new streetcar system. 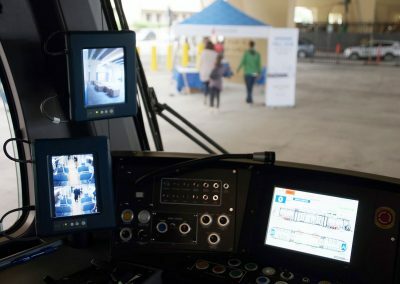 Adults and children equally crowded into the streetcar at the open house, snapping selfies with phones and photographing practically every square inch of the vehicle’s interior. 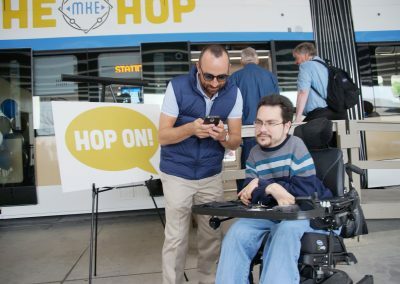 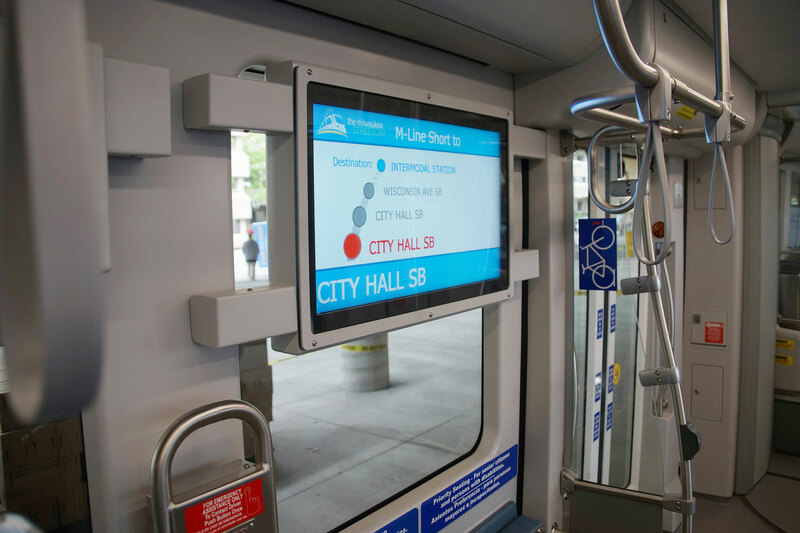 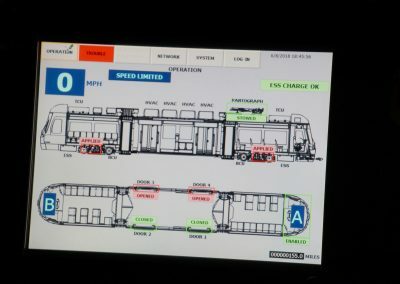 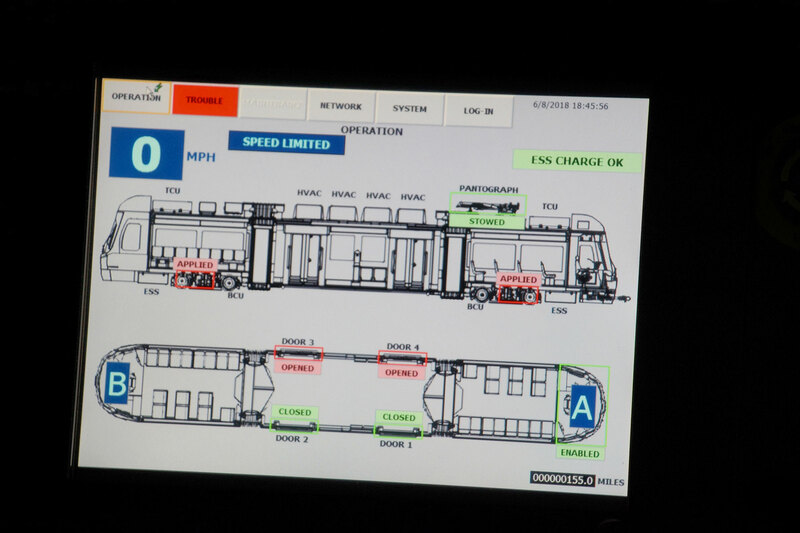 Both streetcars were stationary during the event, with an ADA-compliant temporary platform to provide access to the single display vehicle. 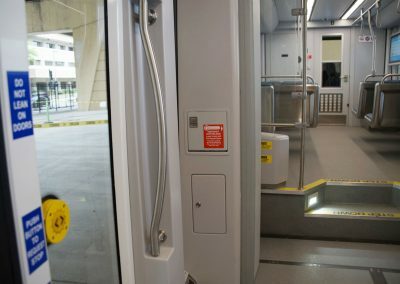 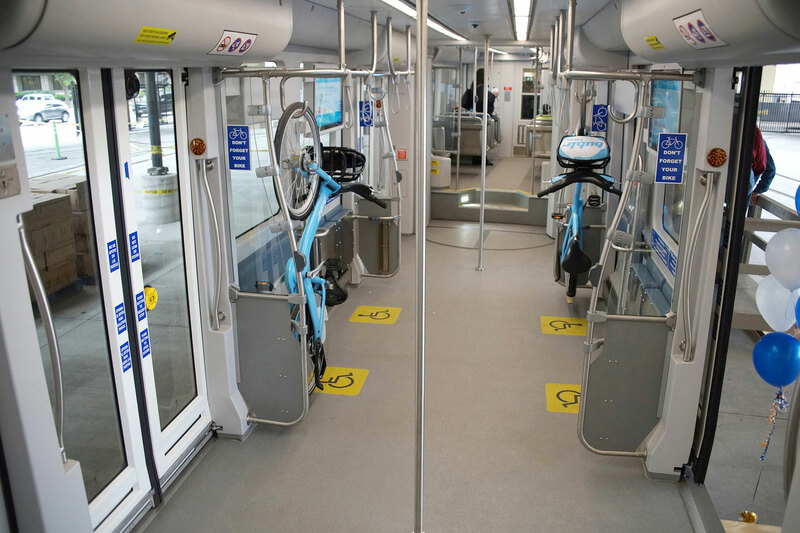 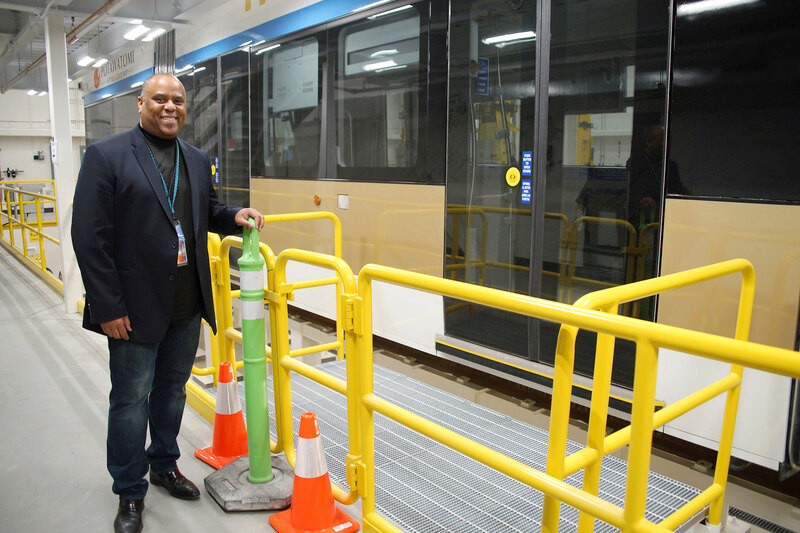 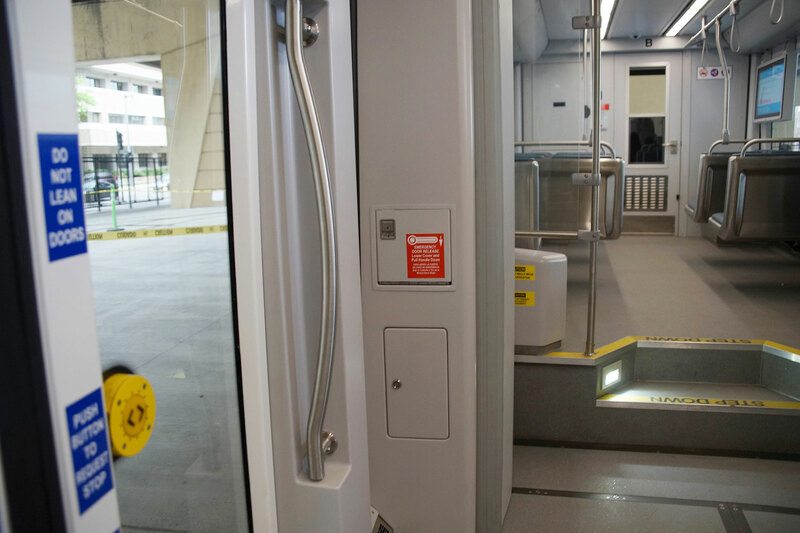 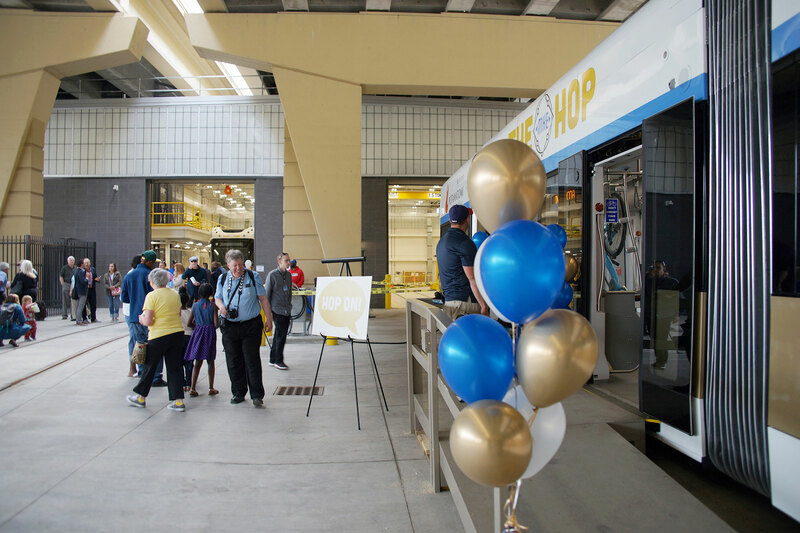 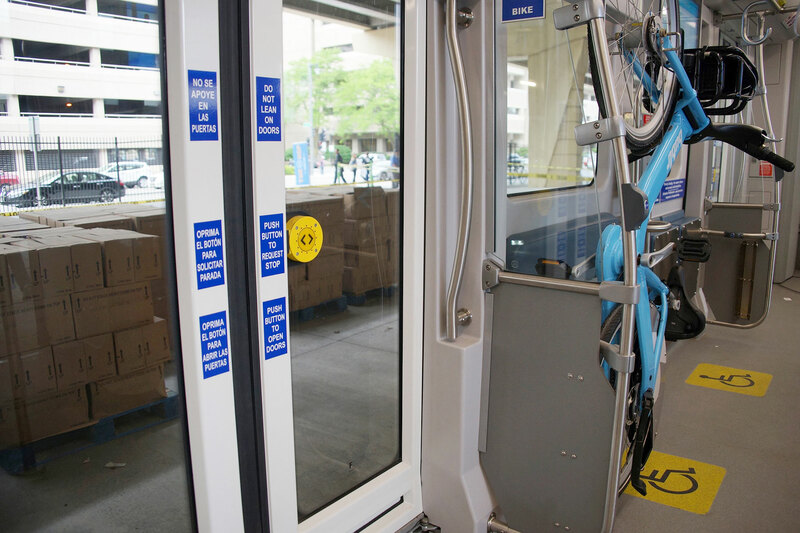 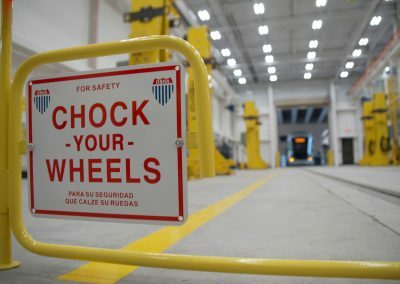 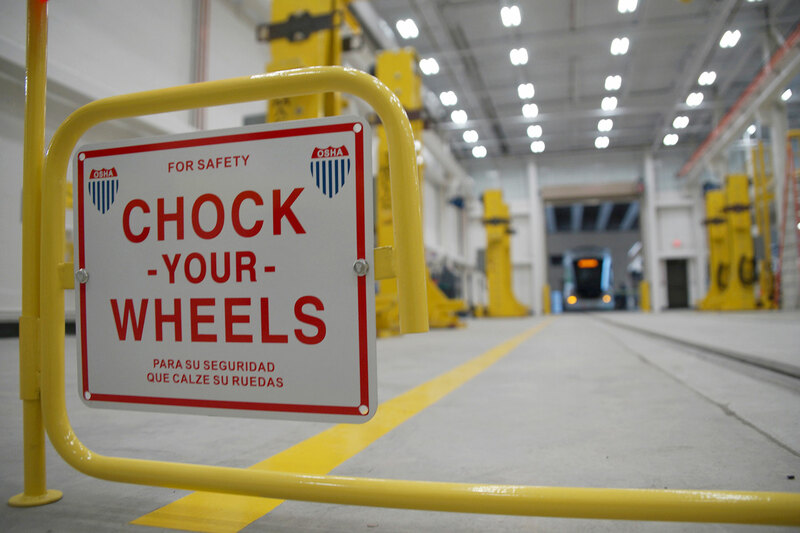 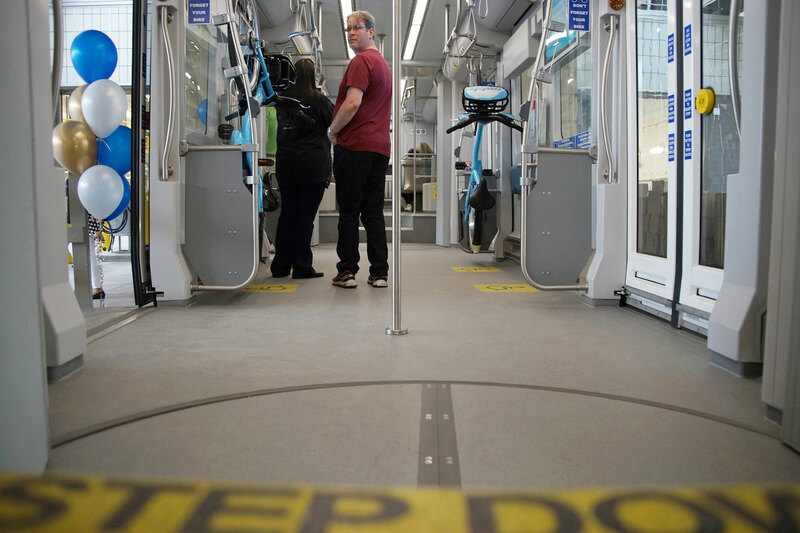 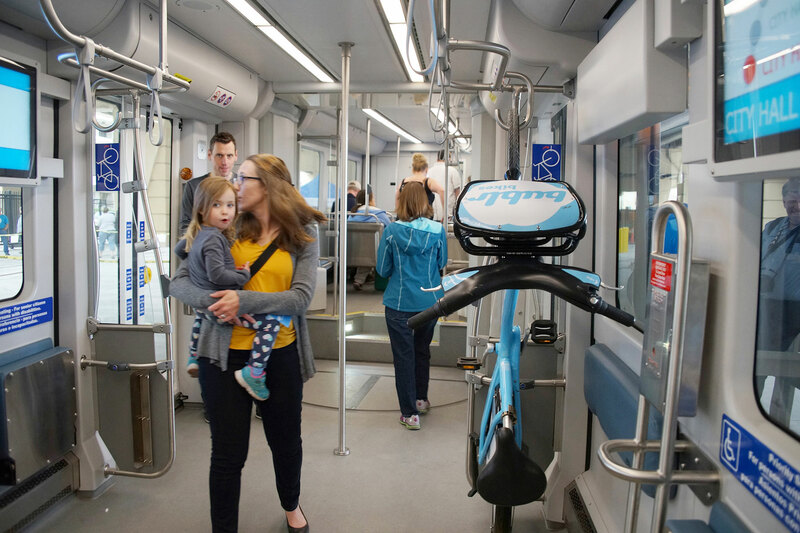 In addition to being among the first to step on board and see the a vehicle interior, attendees were able to explore inside the new streetcar maintenance facility located under the I-794 expressway between North Fourth and Fifth Streets. 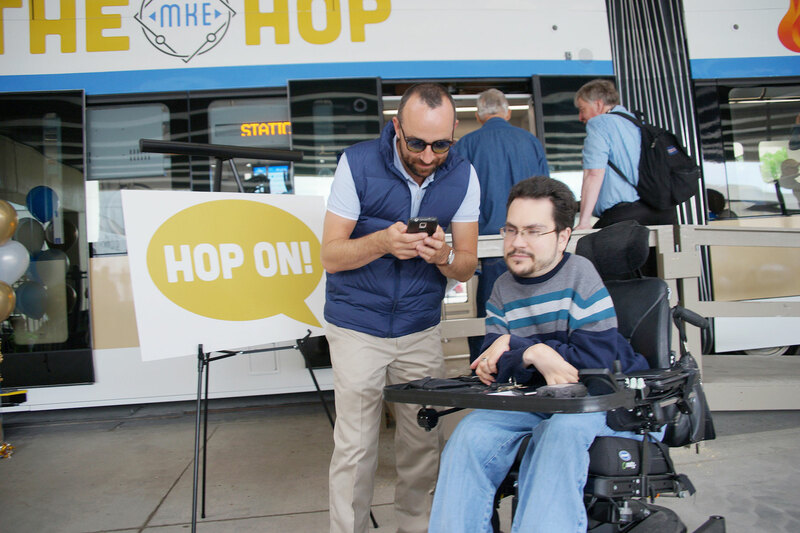 Volunteers also shared educational information about streetcar safety for motorists, bicyclists and pedestrians. 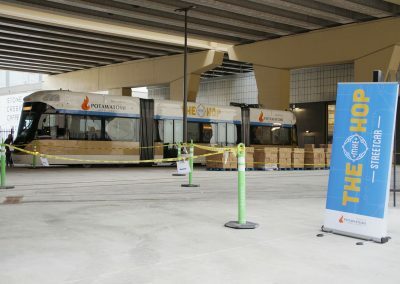 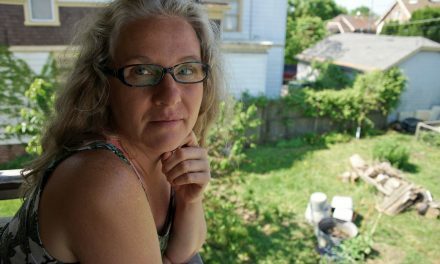 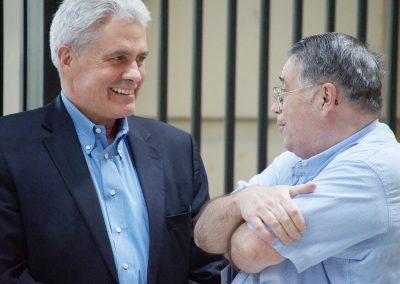 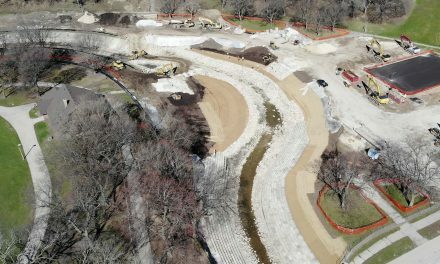 Simpson said that construction on the initial line, stretching from the Intermodal Station to the lower east side, will be 99.9% finished within a couple. 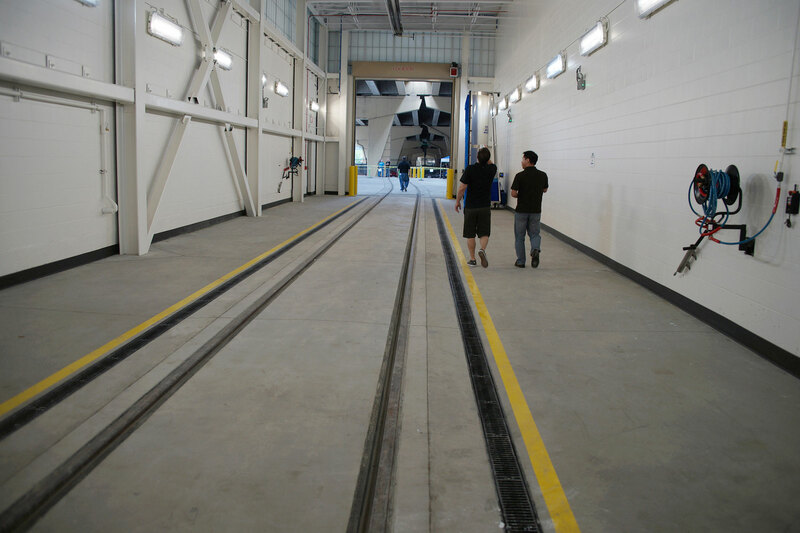 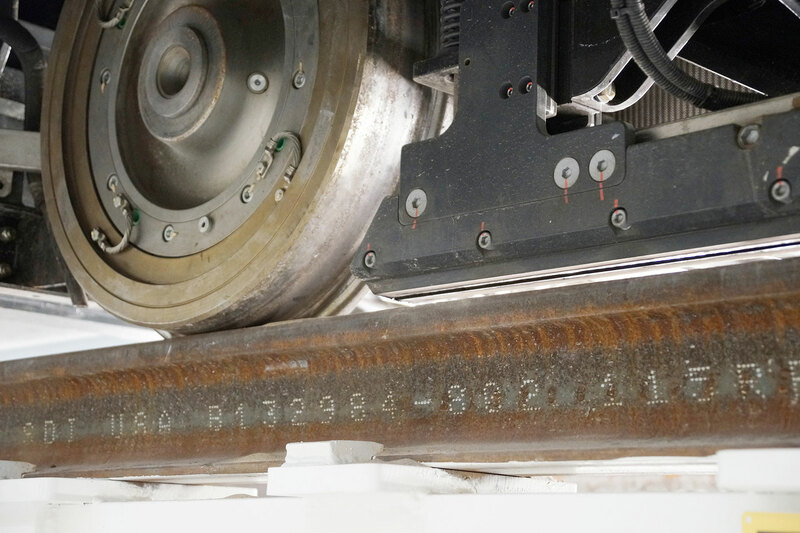 Vehicles will then be able to venture out across the system of tracks to test the entire route. 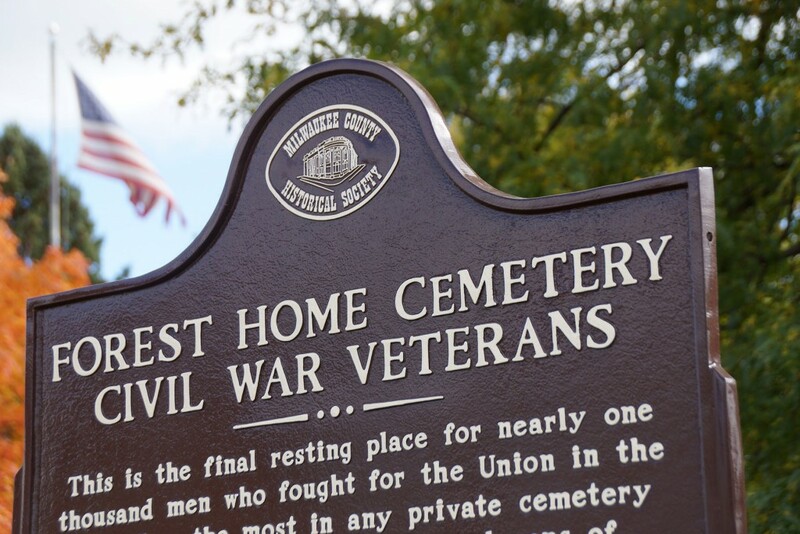 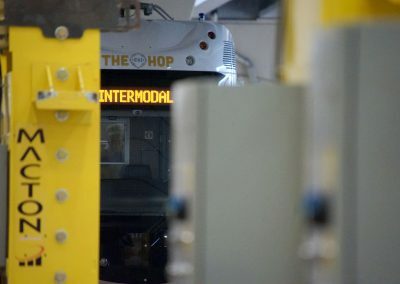 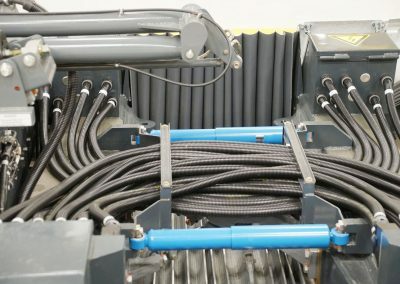 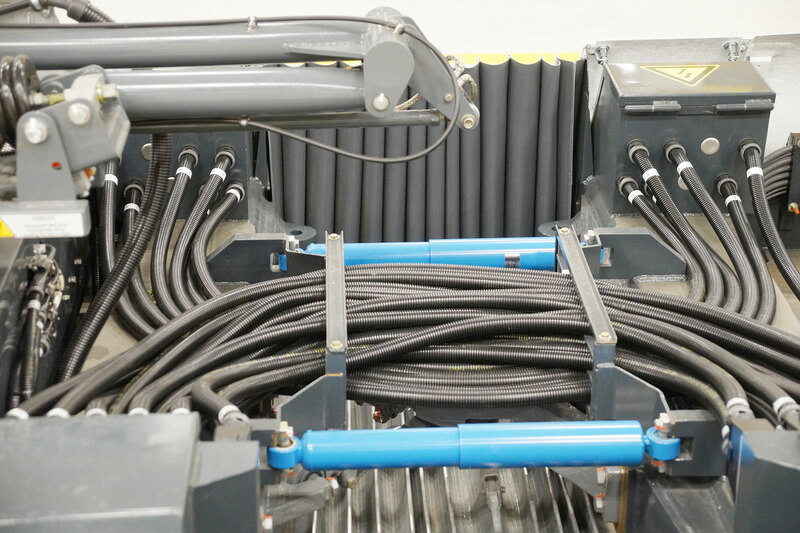 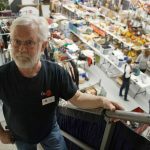 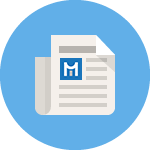 The remaining three vehicles for The Hop are set to be delivered to Milwaukee in the coming months from Brookville, Pennsylvania where they are manufactured by the Brookville Equipment Corporation. 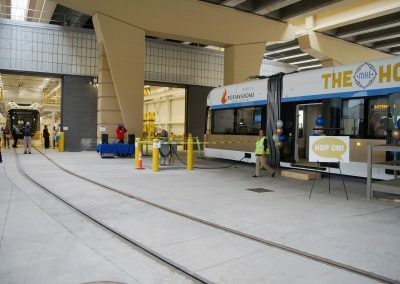 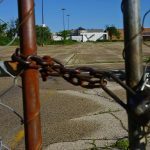 The Hop’s current inventory of two vehicles have already undergoing on-street testing along a closed portion of W. St. Paul Avenue. 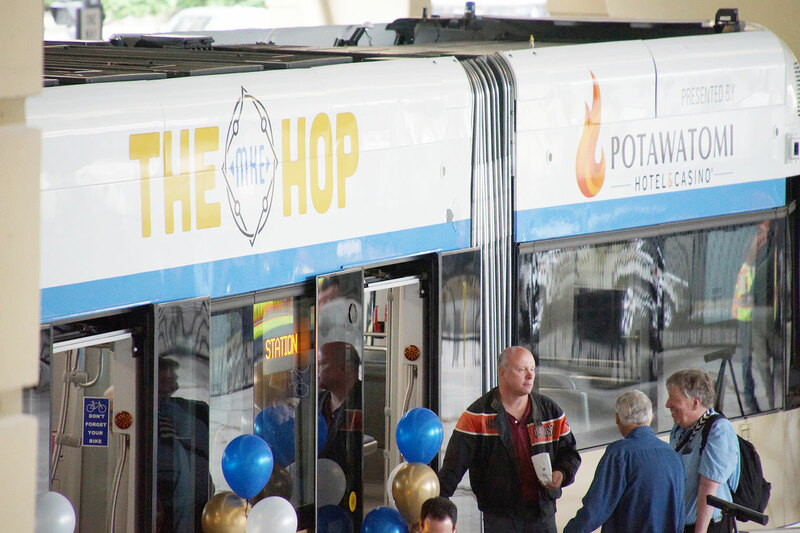 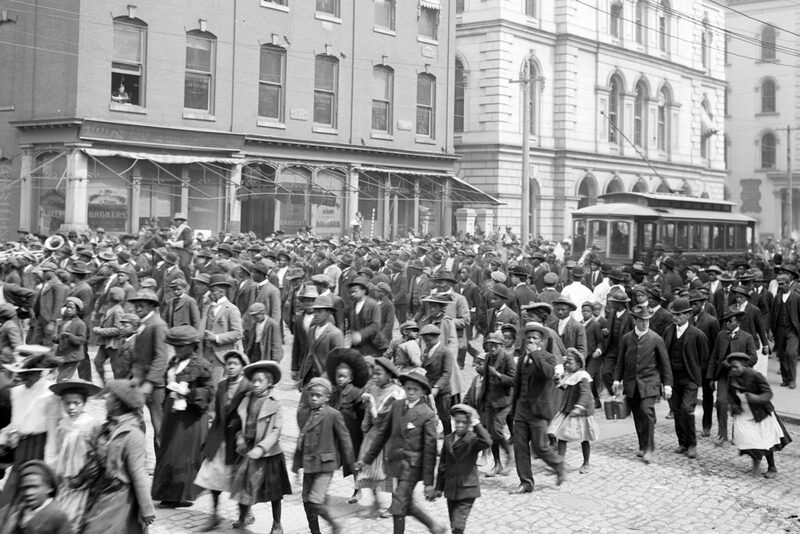 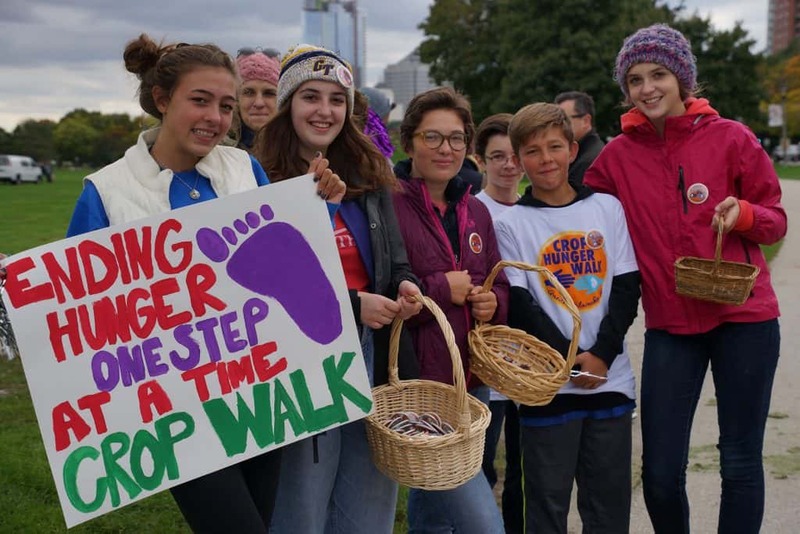 The public is expected to be able to ride The Hop’s 2.5-mile route in November. 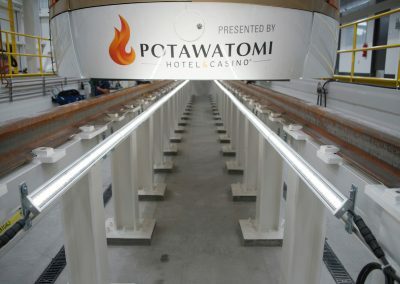 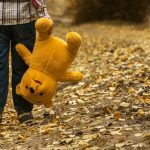 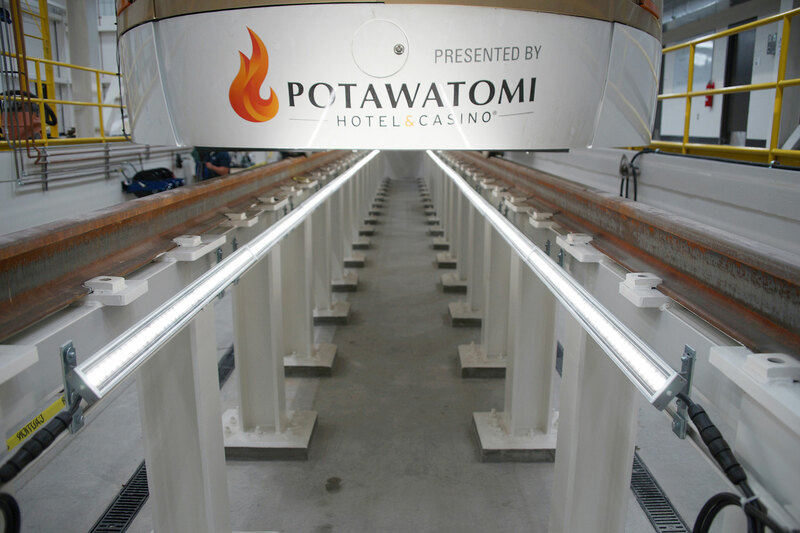 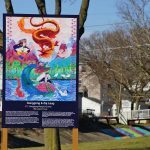 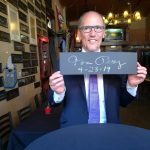 Rides will be free for the first year, thanks to Potawatomi Hotel & Casino’s generous 12-year, $10 million sponsorship deal.